Lasagne day is on July 29th and I wanted to share one of my favourite Lasagne recipes; Halloumi lasagna with spinach! 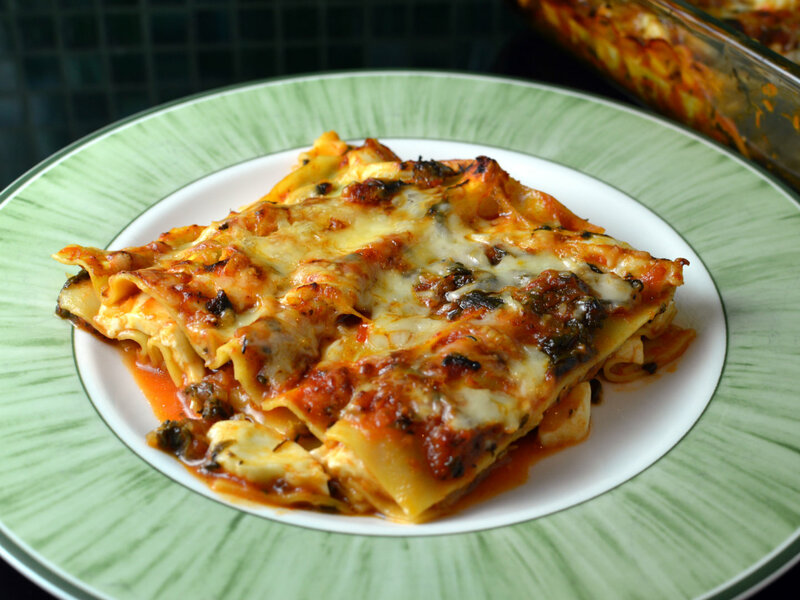 This recipe is a bit faster than a traditional lasagna recipe by using fresh lasagne noodles and no need to make the bechamel sauce (also known as white sauce). I especially enjoy the texture with pieces of chewy halloumi cheese in it! Your choice of cheese to top it with can influence the taste quite a lot, I usually just take the cheese I have at hand.